Climbing stairs is a very demanding activity. For this reason, many public places like malls and department stores installed escalators to decrease the effort one must place into climbing and devote more of that energy into shopping. This helps seniors and people with disabilities that have decreased strength, endurance, and shortness of breath when they are in the community, but what about when they are in their own home? Escalators cannot be installed in one’s house and often are not practical as it would only be used a limited amount of time. So let’s discuss some other options that can be considered to make navigation of stairs and steps more safe. In general, most people find that ascending the stairs to be more difficult as one must fight against gravity as they climb up. In contrast, gravity propels one forward when going down the stairs, but this can contribute to a fall if one does not descend in a controlled manner. There are some simple changes that can one can make to improve safety and independence with climbing up and down the stairs. We will also cover other options that could be considered when simple strategies are not effective in solving this problem. It is important to consider the amount of handrails a staircase has. Lengthy staircases are usually required by building codes to have at least one handrail for support. That said, it is important to check the safety of these railings, especially in older homes which may have not been maintained well. Over time the rail or the screws holding the railing in place may have deteriorated and may need to be replaced. It is important to have a railing that travels the full length of the stairs and allows the user to feel supported at all times when going up or down. Next if one relies on a railing for support, they may also benefit from an additional handrail on the other side. In most cases having two railings that run the full length of the stairs allows one to be more independent with climbing between two floors of a multi level home. However, this is not always possible if there is no wall or anchor points for one more railing. While we discussed indoor railings, it is important to note that an outdoor handrail can allow seniors to safely enter and exit their homes. Some staircases have a landing that can be taken advantage of to improve one’s ability to climb the stairs and get to the next floor. For instance, large landings can have a chair placed on them to allow the climber to rest in a seated position. However, this may not be beneficial in all cases as sometimes trying to get up from seated may consume a lot of one’s energy reserve (possibly more than one would gain by resting briefly). Generally it is best to use a tall chair with armrests (such as a perch stool) that is still comfortable to sit on as it will be easier to get into standing when needed. This strategy should be trialed and compared with simply resting in a standing position while holding the rail. Incorporating occasional standing rest breaks while climbing allows the leg muscles to briefly rest and one to catch their breath as needed. When ready, one can climb or descend the stairs again. Typically this strategy works best for someone that experiences dyspnea (also known as shortness of breath) with moderate activity. Sometimes two handrails and breaks are not not enough and one needs hands on support from a caregiver with navigating up or down the stairs. The problem with this strategy is that very few people are trained on how to safely help someone up or down the steps. Caregiver walks in front of the user. They think that standing in front of the person will stop them from falling as the fall will be braced by the caregiver’s body. This is incorrect and dangerous. If the person trips, they will push the caregiver who is ahead of them and they may both fall. Caregiver walks behind the person and pushes them up the stairs. This is dangerous because the person can fall backwards (if ascending) or fall forwards (if descending) and the caregiver will be powerless to prevent a fall. As well this strategy forces the person forward who may not be ready to get to the next step yet and could lead to tripping. The ideal location for the caregiver is beside the person that needs assistance. While the person walks up the steps and uses one railing for support, the caregiver can grab the cuff of the pants and help with balance and finding one’s footing on the next step. Having a caregiver is ideal, however it is important to consider the weight differences between the helper and the person needing the assistance. If there is a significant weight advantage to the person needing assistance, the helper may not be able to help the user recover from a loss of balance. In these cases, it may put both individuals at risk of falls and and alternative strategies need to be looked at. The weight issue aside, it is important to consider caregiver availability. One may not be able to get help with navigating the stairs at all times as caregivers may be at work, sleeping or attending to other duties. The problem with this strategy is that it relies on outside help, which may not be available, reliable or expensive to hire. One simple modification is to rearrange the furniture. For instance, people can have their beds relocated onto the main floor and stay situated on that level. 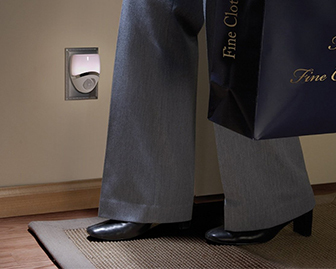 This minimizes the need to navigate the stairs at all and allows one to continue to reside within their home. However, two things need to be considered when making this decision. First, the main floor of a home likely only has a two piece bathroom, so bathing will need to be done mostly in the form of a sponge bath. That is unless the person is able to climb and descend the stairs a few times per week to access a full bathroom on an upper floor. Alternatively if this one chooses to permanently stay on the second floor, it is important to consider possible social isolation. Typically all the action within one’s home is surrounds the living room and kitchen which is situated on the main floor. Aside from sleeping, very minimal time is spent on the second floor. As a result, it is important to consider that the bedroom may be secluded and feelings of loneliness may become an issue. Finally, the last resort is to move homes. This is a lot more simple if one is renting the property from a landlord. However if one is selling their home, one may have some assets from which they can pay for the monthly expenses encountered at a retirement home or used to down size to a smaller house, condo or apartment. One option is to move from a multi level home to a bungalow where everything is located on one main floor or into an apartment that is accessible by an elevator. In both of these situations, one would also have the advantage of choosing a home that meets their current accessibility needs prior to moving in. This usually means looking into the bathroom to ensure that appropriate safety equipment and transfer aids can be installed or is already in place to ensure optimal functioning and independence. Other things that may be looked at include doorway widths and whether the spaces are open or large enough to accommodate wide mobility devices like a walker or wheelchair. When climbing the stairs no longer becomes a safe activity, even with assistance from a caregiver or training from a healthcare provider, one can resort to the use of a stair glide. Some vendors again call this device a stair lift. This device needs to be installed by professional contractors that specialize in this equipment. Often times it is quite expensive to obtain a stair lift along a straight set of stairs leading to another level. When receiving quotes on staircases that curve, costs jump significantly. It is not unheard of spending approximately $10,000 for curved staircases. While models differ, but generally you sit on a chair and strap in with a seat belt while you safely ride up and down the stairs as needed. The movement is controlled by a remote control and there are usually safety sensors in place to stop motion of there are any obstructive objects in the way. Also, most stair glides come with a battery backup in case the electrical power goes out, and one needs to access different parts of their home. If you thought a stair lift was expensive, wait till you explore the costs for an in home elevator. These are generally useful for people that are wheelchair bound and wish to access multiple levels. For most people, the work and cost involved with installing this is prohibitive and more simple solutions are explored first. For instance, it will likely be less expensive to relocate to a bungalow than to construct a shaft and install the mechanisms for an elevator in an existing home. Many homes have stairs that are cluttered with toys, newspapers, clothes and other objects. This increases the risk of falling dramatically. Ideally all steps, including the top and bottom landings need to be clear to minimize tripping hazards. As well all steps should be illuminated, especially at night when visual conditions are poor. Frequently when the stairs are not visible, a step may be missed and this could lead to a loss of balance or fall. If one has no nearby light source that could brighten the path, one should look into a battery powered wall mounted nightlight that could be triggered after sensing motion. In summary, clutter and poor visual conditions significantly increase one’s risk of falling and these issues need to be addressed to increase overall home safety.